The final US Open warm-up event was all that took place on a quiet week on the ATP World Tour, with things about to heat up in New York. With one week to go before the season’s final major, it was a youngster taking advantage of the top guns’ absence to claim a second title of the year. It was a quiet week on the ATP World Tour with most of the stars turning their focus towards the upcoming US Open. Here is your ATP Weekly Update for week 34 of the 2018 season. 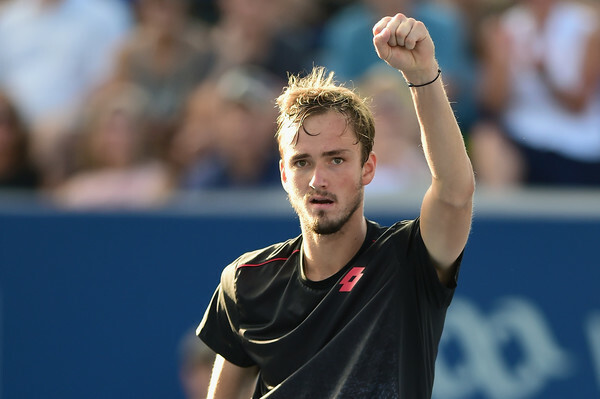 With most of the tour’s stars taking the week off to rest and prepare for the US Open, Daniil Medvedev took advantage to grab some momentum heading into New York by winning the Winston-Salem Open. The 22-year-old Russian did not drop a set in six matches on his way to the second title of his career, and second in 2018, capping it off with a straight-sets win over Steve Johnson. Medvedev took advantage of a fairly easy draw, only needing to beat one seeded player on his way to the final. That was his second-round match with 15th seed Alex de Minaur, who Medvedev beat to win his first career title back in Sydney in January. 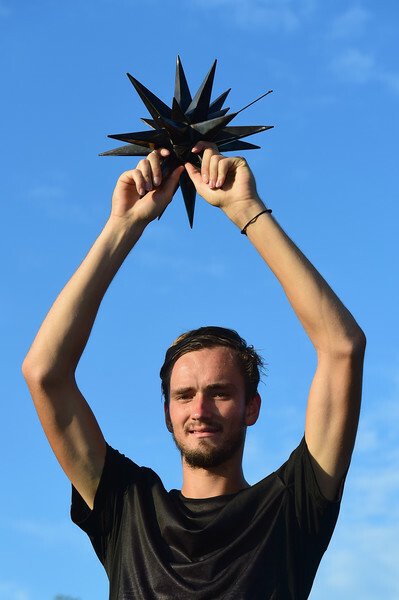 Johnson, who was bidding for the US surface treble (a title on clay, grass, and hard court in the US), took out two seeds, including second seed Pablo Carreno Busta, the highest ranked player in the draw, on his way to the final, where he fell 6-4, 6-4 to Medvedev. The Winston-Salem champion’s second career title led him to a 21-spot jump in the rankings, back into the top fifty and well past his previous career-high of number 48 in the world to a new best of 36. Winston-Salem runner-up Steve Johnson moved up three spots to number 31. Quarterfinalist Nicolas Jarry matched his career-high of number 42 by climbing five spots. Taro Daniel, who reached the semifinals in Winston-Salem and was already sitting at a career-high of number 76 but moved up a further 12 spots to a new personal best of number 64. Last week’s results had no significant impact on the Race to London, as most of the contenders were not in action. Semifinalist Pablo Carreno Busta moved up three spots to number 14, still more than 1300 points back of the final qualifying spot. The year’s final major will be the only event on the schedule for the next two weeks. The tour’s best will make the trek to New York for the final Grand Slam event of 2018 this week, the US Open. The entire top 30 will be in the Big Apple, led by world number one and defending champion Rafael Nadal. The Spaniard will be looking to win his fourth US Open crown, defend a major title away from Paris for the first time, and take a stranglehold on the number one ranking. Nadal lucked out with the draw, as most of the biggest threats to his title defense are in the other half, although he could have a rematch of last year’s final with Kevin Anderson in the quarterfinals. Roger Federer is the second seed and will look to break his drought in New York by winning an open-era record sixth US Open crown a decade after claiming number five. Federer has a shot at taking over the number one ranking with a title, although he will need some help. To break his drought, he may have to go through recent Cincinnati champion Novak Djokovic, the dangerous sixth seed, who returns to New York for the first time since 2016. They are in the same quarter. Juan Martin del Potro is seeded number three for the first time at a major and is a potential semifinal opponent for Nadal. Check out the full tournament preview here. The 2018 US Open will be the final US Opens for David Ferrer and Gilles Muller. On the other end of the generation gap, the NextGen will be well on display with Alexander Zverev (4), Stefanos Tsitsipas (15), and Denis Shapovalov (25) all seeded, along with young guns Borna Coric (20), Hyeon Chung (23) and Karen Khachanov (27).